Our monthly emails seem to be proving to be a big hit with most people. It is a process that is undergoing refinement and requires a few tweaks here and there to make it even more successful. This month the email was delivered to 238 addresses and opened by 197 people – 82.8% success rate. Don’t you just love statistics, I know I do. Why some are not being opened remains a mystery; it might be because the email address “chairman@westwoldsu3a.org” is being blocked by your system so if you can, please look in your spam folder just in case. If there’s anything you would like included in the email, maybe something about your group activities, then please let me know. And here comes the downside… Of the 197 of you who opened the email only 54 (27%) completed the survey. A few people have contacted me to say they have had a problem with some of the questions however 54 people have had no problems at all. To say I’m heartbroken would be a gross exaggeration however it is a little disappointing because the committee took several hours to put the survey together and it takes less than 5 minutes to complete it. 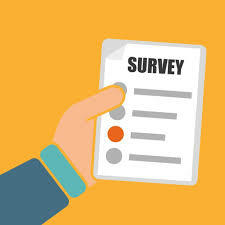 We value your input and the survey is for the benefit of us all so if you haven’t completed it already please click here and do it now. There will be hard copies available at the February general meeting and the results of the survey will be published by the end of February.